This took some searching, but I found a free way of doing it. In this case I want to display UK Areas of Outstanding Natural Beauty (AONBs) in Cumbria on a Google map for a web app. 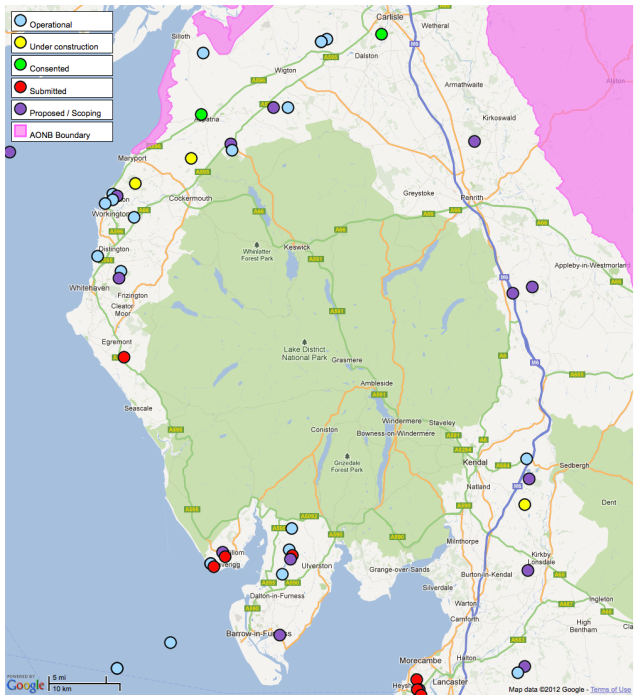 To get the AONB outlines head over to naturalengland.org.uk and click on data – specifically here. 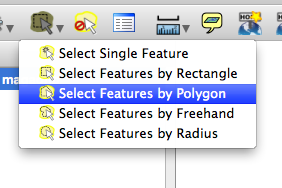 Choose ESRI Shape as the data format. 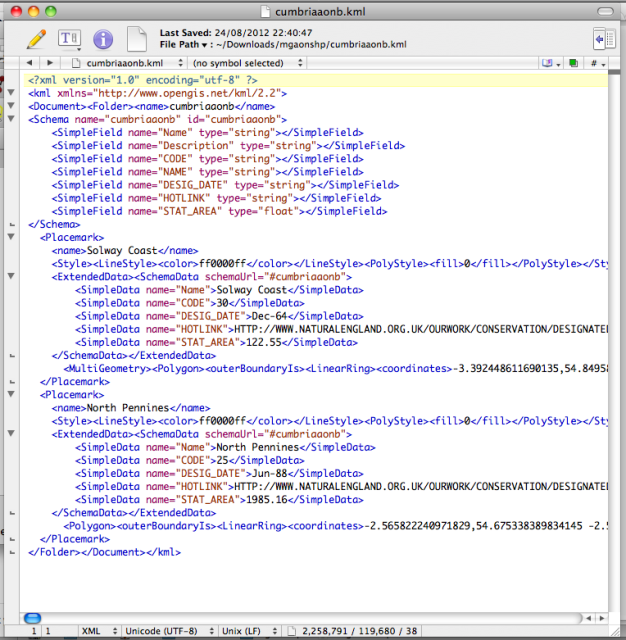 This will download a .zip file – in there is magaonb.shp which is our shape file. 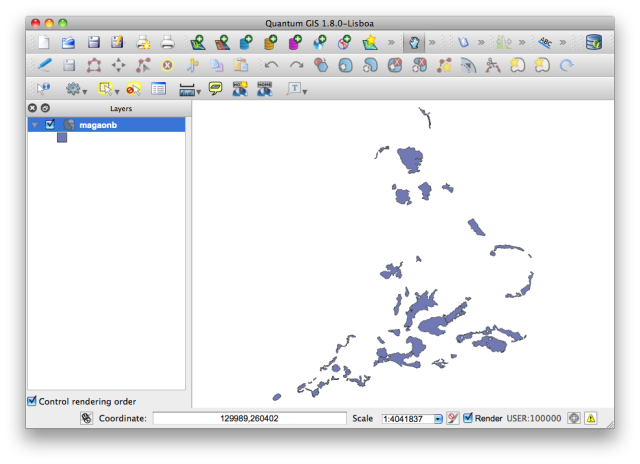 Get Quantum GIS – a fantastic free GIS program from http://www.qgis.org/. If you are not familiar with other GIS programs its a little daunting at first. Go Layer -> Add Vector Layer, browse to your shape file extracted earlier. Contents of shape file will be displayed. 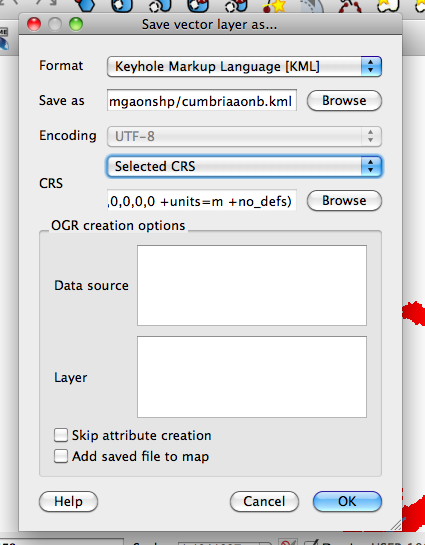 In my case I was only interested in Cumbrian AONBs so I had to just select those: Click Layer -> Toggle editing this will allow you to select the bits you want. Now your selected bits will get a yellow colour. Go Layer -> save selection as vector. Choose “KML” and select a location to save to. Choose “selected CRS”. To give the polygons a fill on your google map simply change <Polystyle><fill>0</fill></polystyle> to <Polystyle><color>abff0000</color></polystyle> REMEMBER that in KML colours are specified backwards, i.e. ABGR for some reason.